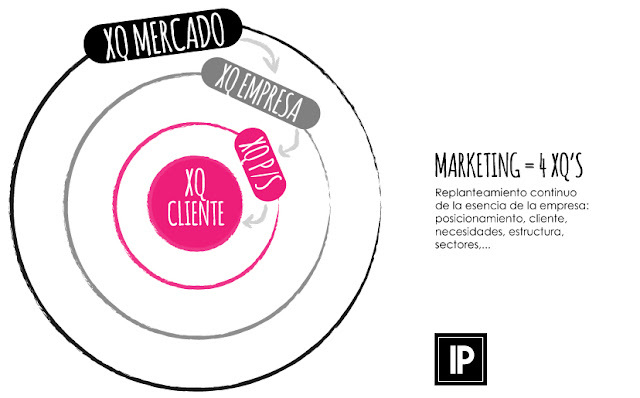 Comparto este interesante artículo de Stu Heinecke, sobre el arte de concertar visitas comerciales (CONTACT MARKETING), una rama del marketing en pleno auge y sólo apta para mentes creativas. We all want more sales; that’s a given. But how we get more sales is not. Many marketers have turned to account-based marketing (ABM) to identify and target the companies they’d most like to sell to, but breaking through to the accounts that can push your enterprise to new levels of scale is never easy. In fact, it’s often nearly impossible. There is a shadow form of marketing out there that perfectly complements ABM and has been generating results most marketers would find hard to believe. I dubbed it “contact marketing” in my book How to Get a Meeting With Anyone. Contact marketing is a fusion of marketing and selling, employing specific campaigns designed to connect with specific high-value prospects, including CEOs, C-level executives and other top decision makers. As I was researching for the book, I discovered that a surprising number of marketers were using their own homespun, often audacious methods for creating breakthroughs. But it was all happening in complete isolation—all the practitioners knew was that they needed to find a way to break through to someone very important, someone who would be difficult to reach. You might recall some pretty outrageous things you’ve done to connect with someone. Maybe you’ve heard stories, like the single shoe that shows up with the promise of the other to complete the pair when the proposed meeting takes place. Or a remote-control car model showing up with a note promising the missing control unit during the meeting. Sending half of a gift with the promise of the other half may crack some doors open with some difficult-to-reach prospects, but it’s hardly state-of-the-art contact marketing. Many CEOs report taking a meeting just to get the missing piece, then ushering the representative out the door. Once the toy is brought home to the CEO’s children, the representative and his company are soon forgotten. Simply getting in the door is an important part of making meaningful contact, but it’s not enough. The contact campaign must also impart a feeling of, “I love the way this person thinks. I need to meet this person.” And it must quickly deliver the promise of value focused on the target executive’s specific needs. Contact marketing campaigns don’t operate like other types of campaigns. The target group is usually quite small, sometimes just a single person. The cost spent to reach each person can also be quite high, easily hundreds of dollars or more. While the cost and audience figures may be surprising, the results can be shocking. Response rates to contact marketing campaigns have been as high as 100%, producing ROI figures in the tens, even hundreds of thousands of percent. When the founder of NoWait set out to launch his app, he employed a classic contact marketing strategy. The campaign targeted just 30 people, but these were the CEOs of the top 30 restaurant chains in the country. The NoWait app turns any smartphone into one of those pucks used by restaurants to alert customers that their table is ready. By eliminating the pager device, NoWait also eliminates the need to wait in the restaurant for a table. To introduce the app to the 30 dream clients, NoWait devised a clever campaign that featured personalized videos delivered on iPads in custom NoWait packaging. The targeted executives were so impressed that roughly 70% responded, some saying it was the cleverest campaign they’d ever seen. Thanks to the campaign, the NoWait app is now featured in 20 of the top 30 restaurant chains in America. Top sales blogger and best-selling author Dan Waldschmidt gives us another example of the power of focusing on very few high-value prospects with an audacious delivery. In addition to his blogging, Waldschmidt is a turnaround specialist. He has a fascinating way of connecting with prospects for his services. Waldschmidt reports a nearly 100% response rate to his campaign. My introduction to the world of contact marketing came as a result of my cartoons. In addition to being a marketer, I’m one of The Wall Street Journal’s cartoonists. I quickly discovered how powerful cartoons can be as contact devices. When I launched my first creative agency years ago, I targeted two dozen consumer marketing directors at the big Manhattan-based magazine publishing companies. I sent a personalized print of one of my cartoons along with a note explaining I’d just beat controls for Rolling Stone and Bon Appétit using that same personalized cartoon device. I urged that we produce similar tests for their titles. As a result, not only did I connected with all of my target prospects, they all became clients. That was a 100% response that was worth millions of dollars. It launched my marketing business, and it all came from a campaign that cost less than $100. These are just a small sampling of the stories coming from marketers all over the world of a movement no one actually knew was a movement. There are several types of gift strategies; the car and shoe examples, my cartoons and Waldschmidt’s swords are part of the half-gift, art, humor and film and visual metaphor categories. Other strategies include specific uses of e-mail, social media, video, insight and intelligence, interviews and media exposure—including several methods that went way beyond normal marketing thinking, like the campaign used to reach a single contact by running a letter of introduction as a full-page ad in The Wall Street Journal. The ad cost $10,000, but resulted in a $350 million sale. As I’ve spoken at events, connected with readers on social media and interviewed many marketing and sales thought leaders, it has become clear that contact marketing has been a movement for a very long time. Not being afraid to spend a lot per contact, using large amounts of creativity and audacity and believing that high-potential accounts are worth every effort to win their business is what contact marketers all have in common. You’re probably already part of it. If you aren’t, you really should be.